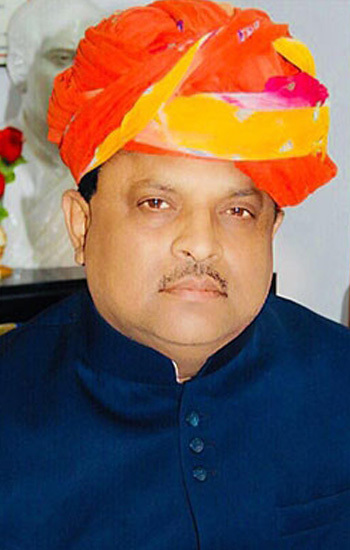 Jaipur.state government will extend the facilities for cancer diagnosis, besides including latest cancer treating drugs in the list of free medicines, health minister Raghu Sharma said on Monday. He was at the Sawai Man Singh hospital in Jaipur to felicitate cancer survivors at a function organised on World Cancer Day. The minister said the health department is serious to prevent and treat serious diseases like cancer. Citing that lifestyle diseases are on the rise, he suggested people to improve their lifestyle. “There are strong possibilities of cancer and other such diseases due to consumption of food grains grown by excessive use of chemicals, fertilisers and pesticides and even adulterated edible items,” he said and emphasised on prevention of adulteration. He said looking into the increasing number of cancer patients in Rajasthan, a cancer institute is being built at Pratap Nagar, which will be made operation soon. SMS Medical College principal Dr Sudhir Bhandari said last year more than 60 lakh patients were treated at the SMS hospital’s outpatient department (OPD). The head of oncology department of the hospital, Dr Sandeep Jasuja claimed that the hospital provides cheapest bone marrow transplant facility in the entire country. MLA Rohit Bohra also expressed his views on the occasion. Later, the health minister awarded mementos to doctors and NGOS for their contribution in cancer treatment, winners of poster competition and personnel assisting in blood donation. Meanwhile, Sharma in a review meeting at the secretariat in Jaipur on Monday directed for “strict action” against the government doctors and other health department employees doing private practice during official hours. He asked senior officers to monitor the situation. He also directed for action against illegal laboratories in the state by starting a drive.